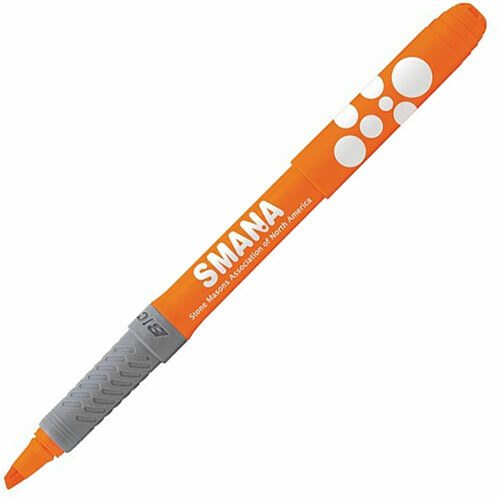 Printed Promotional Pens – Are They Really Effective? In an era of sophisticated marketing techniques and strategies, business owners often hesitate to use the simpler techniques. Until recently, business owners considered promotional items to be a valid marketing strategy that offered good returns on investment. Now, they focus more on digital marketing and have started to wonder whether a worthwhile investment. Is that really the case? At Ezy Promo Pens, we’ve noticed that many of our clients haven’t stopped purchasing printed promo pens because they still believe that they have value. Why are Printed Promotional Pens So Effective? Promotional merchandise, especially pens, are still quite popular with business owners. Here are some reasons why marketers still recommend them to their clients. Logistics – When you implement a marketing strategy, it’s vital to consider the full impact it will have on your resources. One of the reasons why printed promo pens are so popular is because they’re easy to transport and distribute to a large crowd. You can easily pack hundreds of them in one easy-to-carry box and carry it to the promotional event venue like a convention or trade show. This is very easy to manage and wouldn’t stain your resources. Affordability – Pens are very affordable and fit into different price brackets. You can purchase one-time use plastic pens that are very affordable or purchase sleek metal pens that are a little more expensive but have a better impact on the prospective customer. This affordability makes promotional pens an ideal product to purchase for small businesses on a tight budget. Return on Investment – The low investment also offers considerable returns. Pens are very useful tools and people don’t just discard those that write well. As long as the pen works, your prospective customer is likely to hold onto it and therefore is constantly exposed to your brand logo and name. If they ever need services or products that your company offers, they’ll immediately remember your brand. That’s high levels of visibility for very little investment. Accessibility – Printed promo pens are very easy to find and purchase. You can simply place an order online and have the pens delivered to your location. Online stores might also offer you better prices, especially on bulk purchases so you can reduce your expense even more. Online stores will also offer you several options when it comes to pen styles and materials. You can purchase metal or branded pens if you want to give your customers something that looks and feels expensive. As you can see, printed promo pens are a wise investment to make, especially if you’re on a limited budget but still want good visibility. They’ll be a very effective part of your marking campaign, especially if you use these pens at the right time. If you want to know more about our printed promo pens here at Ezy Promo Pens, just get in touch with us today. Our number is 1300 753 675 and our email is info@ezypromopens.com.au. You can also contact us through this form and we’ll reply as soon as possible.